Delivering Lifetimes of Beautifully Healthy Smiles! You are unique, with specific dental needs, as well as personal goals and concerns. You want a healthy, functional, attractive smile, and you want to be an informed participant in achieving it. 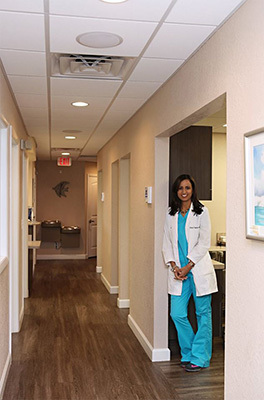 At Cocoa Beach Family Dentistry, Dr. Erin Kahlon and our team want to understand your desires and will always respect your individual situation. We know the best dentistry, happiest patients, and most remarkable smiles are the result of skilled and compassionate care, tailored to you! Starting at your first visit, a complimentary consultation, Dr. Kahlon will take time to talk with and listen attentively to you. Beyond clinical diagnostics, she wants to learn about your life, overall health, and any treatment concerns you have. It is only after this conversation, and diagnostics, that she designs your unique treatment plan. Focusing on lasting, stable results, your plan will be affordable, comfortable, and efficient. Before starting care, we will walk you through Dr. Kahlon’s recommendations, and explain why she feels this is right for you, as well as discuss treatment options. Everything is presented clearly, and we are glad to answer all your questions. When you’re an empowered patient, you are able to make healthy, informed decisions about your smile’s health! We believe our greatest responsibility is to provide a positive, stress-free dental experience. This fosters trust and allows us to help you achieve and maintain your healthiest smile. Our Cocoa Beach, FL dental office serves Brevard County, including Cape Canaveral, Merritt Island, and all surrounding areas. Please contact us to learn more and to schedule a consultation. We all look forward to welcoming you to our dental family. We are excited to be your partners as you achieve a lifetime of beautifully healthy and confident smiles! Call today!